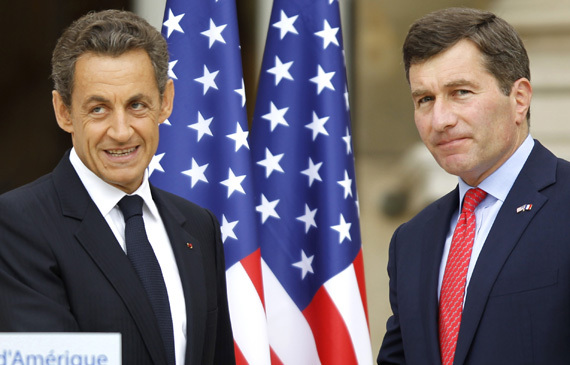 Former French President Nicolas Sarkozy (L) and U.S. Ambassador to France Charles Rivkin (R). One of the unique features of the U.S. Foreign Service that it’s highest ranking personnel are not generally professional diplomats. Sure, for some posts—mostly places people don’t want to spend a lot of time—they are. But for many posts, including in many important U.S. allies, the ambassador is a political appointee who raised a lot of money for the winner of the presidential election. When President Barack Obama was elected, 32 of the 58 ambassadorial appointments he made were to large campaign contributors. And less you think that Obama is an anomalies, he was simply following a longstanding tradition. Fifty of Preside George W. Bush’s ambassadors were each responsible for campaign donations of at least $100,000. Since the Eisenhower administration, approximately 30 percent of all ambassadorial appointments have been to campaign donors. That is an exceedingly high figure when you think that the United States has embassies in approximately 198 countries around the world. But a recent story in The Atlantic suggests that the use of political appointees as ambassadors is not necessarily a bad thing. Profiling Charles Rivkin, the U.S. Ambassador to France, The Atlantic argues that political appointees can carry greater connections to the White House, often bring a fresh perspective on relations and issues between the two countries, and frequently possess significant management and leadership skills developed during their time in the business world. What do you think? Does the appointment of campaign donors to key posts in the U.S. Diplomatic Corps undermine U.S. foreign policy and national security? Or can business leaders make effective diplomats? Take the poll or leave a comment below and let us know what you think. Now that the US presidential election is behind us, several bloggers have turned to ask, “What’s next for US foreign policy?” It’s a fair question, particularly given how little attention was paid to foreign policy during the presidential campaigns. Bloggers from across the internet have offered their take. Examples include Mark Goldberg, who blogs at the UN Dispatch, and David Bosco at the Multilateralist. Who will serve as Secretary of State? By all accounts, Hillary Clinton has done an outstanding job as Secretary of State. But she has made her intention to step down clear. Some have cited John Kerry, who currently serves as the Foreign Relations Committee Chair in the US Senate as a possible successor, but to date President Obama has not been particularly forthcoming about his intentions. How will the Arab-Israeli peace process move forward? It was clear during the election that there was no love lost between President Obama and Israeli Prime Minister Benjamin Netanyahu. It’s also painfully obvious that there has been little progress in addressing the issue during Obama’s first term. Yet historically presidents have often pivoted to foreign policy during their second terms, seeking to establish a lasting presidential legacy. Making significant progress on the Palestinian question would certainly do that. But it’s not clear how Obama might do that. Will our political leaders start talking about climate change? Both presidential campaigns were remarkably silent on the question of climate change, particularly given the entrée to discuss the question provided by the impact of Sandy on the US Northeast. The marginal shift towards the democrats in the Senate provides reason to hope that climate change may at least make it back on to the national agenda. What to do about Iran? Iran’s nuclear ambitions didn’t disappear. In fact, it seems likely that Iran’s path to progress in nuclear technology is moving forward, and many observers believe Iran will acquire develop a nuclear weapon within the next four years. Sanctions have been effective in isolating the country and severely weakening its economy. But will the Obama administration support the more aggressive action so strongly favored by Netanyahu? And what would the impact of such action be across the region? Will there be any change to our Pakistan policy? Drone strikes are highly unpopular in Pakistan but remain an effective way of weakening the strength of militant Islamic groups in the Waziristan region. How will we respond to developments associated with the Arab Spring? It’s now been two years since the Arab Spring started, bring massive change to the Arab world. Longstanding dictatorships in Tunisia, Egypt, Libya, and Yemen fell. Protest movements emerged in countries from Algeria to Kuwait. The ongoing crisis in Syria remains a key contemporary challenge. And, of course, the tragedy in Benghazi rocked the foreign policy establishment. There are many outstanding questions, but perhaps none is more profound that whether or not democratization in the Arab world will result in increasing radicalization or moderation. Will the Global Economic Crisis come to a close or continue to drag on? The economic crisis in Greece appears to be continuing, and the European Union is cutting economic forecasts. The US economy appears to be headed towards an exceedingly slow economic recovery which, while better than continued economic depression, does little to improve the outlook or give reason for heady optimism. How will the global economy affect US foreign policy? Can the United States work with its (economic) allies to improve the state of the global economy? Or will we continue along the current trajectory? What do you think? What are the most pressing foreign policy issues facing the Obama administration in its second term? Leave a comment below and let us know your thoughts. Republican Presidential Candidate Mitt Romney last week sparked a new controversy when he criticized President Barak Obama’s response to the ongoing crisis in the Libya. On Tuesday, just hours after US Ambassador to Libya J. Christopher Stephens and three other Americans were killed in an attack by Islamic militants against the US Embassy in Benghazi, Romney asserted that the United States should not apologize for American values to appease Islamic extremists. Because of missteps during his recent trips to Great Britain and Israel, Romney’s foreign policy credentials were already under suspicion. And following his statements on the Libyan attacks, Romney suffered even more criticism. In its coverage, CBS News asked, “How Badly did Romney Botch His Response to Libya Attack?” Their answer: pretty badly. A growing chorus of critiques from key Republican figures has been heard. Among those chiming in have been Steve Schmidt, senior campaign advisor to John McCain’s 2008 presidential campaign, John Sununu, former Reagan speechwriter Peggy Noonan, chair of the House Homeland Security Committee Peter King (R, NY). Others, like Senate Minority Leader Mitch McConnell and Speaker of the House John Boehner have been silent. However, it remains to be seen how Romney’s misstep will affect the presidential election. 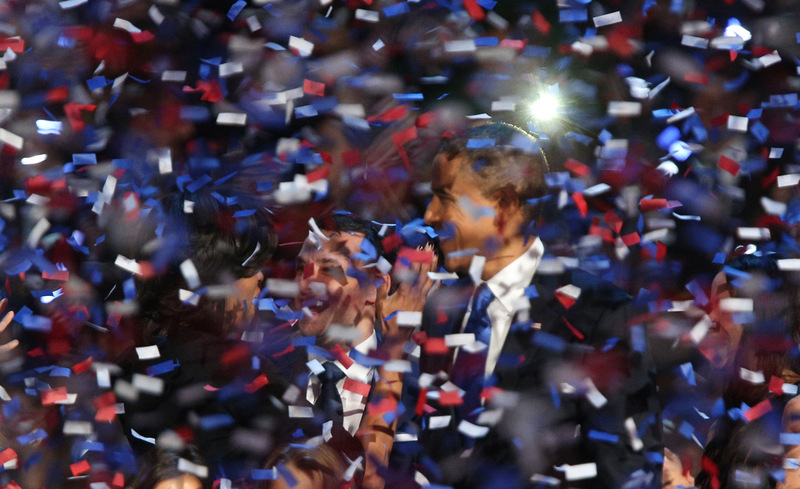 Obama was already polling ahead of Romney, following the closure of the convention season. And there’s an old belief in presidential politics that foreign policy doesn’t win an election. Still, with the campaign season growing short, Romney would likely better be served focusing on the domestic economy rather than developments in the Middle East if he hopes to best Obama come November. 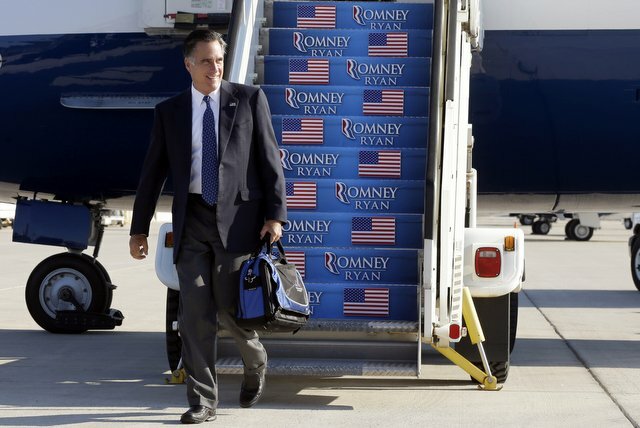 What do you think: Was it a mistake for the Romney campaign to release its statement? Will it affect the November election? Or will the electorate focus on domestic issues instead? 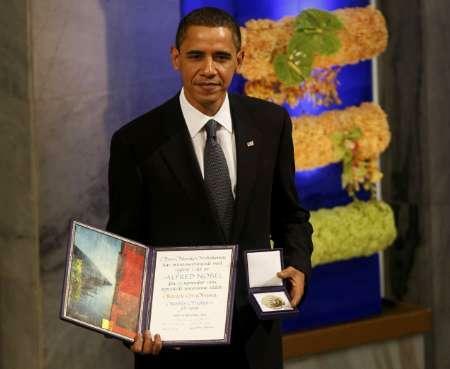 But Daniel Drezner beat me to the punch, noting that Obama’s speech illustrates many concepts and theories in international relations, including realism, Neoliberal institutionalism, social construcivism, democratic peace theory, feminist IR theory, and human security, among others. He actually suggests that it would make a great final exam question for professors wrapping up the semester. But as a head of state sworn to protect and defend my nation, I cannot be guided by their examples alone. I face the world as it is, and cannot stand idle in the face of threats to the American people. For make no mistake: Evil does exist in the world. A nonviolent movement could not have halted Hitler’s armies. Negotiations cannot convince al Qaeda’s leaders to lay down their arms. To say that force is sometimes necessary is not a call to cynicism — it is a recognition of history; the imperfections of man and the limits of reason. He may well be right, but it’s certainly an interesting way to accept a speech promoting peace. And while it may be presented in a more elegant light, the underlying policy reflects the same priorities and goals as the previous administration espoused. It’s been a weekend of high-profile political resignations in the United States and China. On Sunday Morning, President Barack Obama’s top environmental policy adviser, Van Jones, reigned after it became public he had signed a petition alleging U.S. government involvement in the September 11th attacks. Jones had also been a key player in the Color of Change group, which has spent considerable money trying to influence the tenor of the health care debate in the United States. His resignation comes at a poor time for the administration, which is simultaneously trying to salvage passage of health insurance reform legislation in the U.S. Congress, address the ongoing economic downturn, and beginning to consider efforts to address climate change and green jobs, Jones’ area of expertise. On Saturday, the Chinese government fired the top party official in Urumqi, where ethnic unrest has been raging between ethnic Uighurs and the majority Han. Li Zhi, the Chinese Community Party Secretary for the city of Urumqi, was replaced by Zhu Jailun, who had previously served as the head of the regional law-and-order committee. Li’s firing has also raised speculation that regional party boss, Wang Lequan, may also be forced from office. In firing Li, the Chinese government is hoping to quell unrest and prevent another outbreak of violence like that of July, when almost 200 people were killed in ethnic violence. And on Friday, the head of Google’s China operations, Lee Kai-Fu, resigned. Lee was responsible for the launch of Google.cn, Google’s Chinese-language search engine. But Google’s operations in China have been marred by tensions with the Chinese government and debates over the degree to which the company should allow the Chinese government to censor search results. Lee’s resignation came amid a new round of tensions, with some inside Google arguing that the company should reconsider its efforts to break into the Chinese market. 1. The G20 concluded two days of meetings in London on Saturday with a preliminary outline for tougher regulations on financial institutions. While the final statement stopped short of imposing limits on financial bonuses, it would increase the size of capital reserves and require the development of “living wills” for banks, and require that banks retain a portion of loans they sell as asset-backed securities. But the G20 avoided dealing with some of the most controversial elements of banking reform, choosing instead to forward those issues to the Financial Stability Board, an institution comprised of central bank governors and treasury secretaries from around the world. 2. The situation in Afghanistan continues to be marred by uncertainty. On Friday, a NATO airstrike against two fuel tankers hijacked by the Taliban killed an estimated 90 people, nearly all of whom were civilians, according to local village elders. The airstrike provoked an angry response among Afghans, and represented yet another setback for the U.S. mission in Afghanistan. On Sunday it became apparent that the NATO airstrike was ordered by German commanders on the ground, a fact which will likely play an important role in upcoming German elections. The European Union issued a statement criticizing the airstrike on Saturday, one day before EU foreign ministers were scheduled to meet to consider efforts to improve stabilization efforts in Afghanistan. Meanwhile, results from the Afghan election continue to trickle in. By Sunday, the Independent Electoral Commission had tabulated returns from just almost ¾ of country’s polling stations. So far, incumbent President Hamid Karzai leads his closest challenger, Abdullah Abdullah 48.6% to 31.7%. Under Afghan law, the winner must receive an absolute majority of votes cast, so if Karzai is unable to secure at least 50% of the vote, a runoff election would be held in October. But accusations of voting rigging continue to be raised, particularly by Abdullah, who contends that the vote was characterized by widespread fraud. The IEC announced that it had excluded an unknown number of votes from 447 polling stations in which suspicious returns had been found. But the scope of electoral fraud remains unknown. 3. The World Trade Organization issued its preliminary ruling in the U.S. dispute against EU assistance to aircraft manufacturer Airbus. Although the report is still confidential and the final report will not be issued for several months, the WTO panel found that some of the estimated €3 billion offered by the EU to Airbus was an unfair subsidy. Nevertheless, both sides are claiming victory. The WTO panel dismissed 70% of the U.S. claims against the EU and several of its member states, including France, Germany, Spain, and the United Kingdom, which the U.S. had claimed offered as much as $15 billion in illegal loans since the 1970s. Although the United States is celebrating the decision, the European Union is withholding its formal reaction until its case against U.S. subsidies to Boeing is resolved. In a case filed at the WTO several years ago, the European Union accused the United States of offering more than $27 billion in illegal assistance in the form of tax breaks, research contracts, and defense spending. A ruling on that case is expected within the next few months. 4. Israeli Prime Minister Benjamin Netanyahu is moving forward with a plan to expand settlement activity in the West Bank, offering approval for the construction of hundreds of new homes. The United States government was quick to condemn the move, asserting, according to White House spokesperson Robert Gibbs, “The U.S. does not accept the legitimacy of continued settlement expansion and we urge that it stop.” Netanyahu is under pressure from rightwing member of his coalition to remove restrictions on new settlements in the West Bank. But the status of settlements in the West Bank remains a key stumbling block in negotiations between Israel and Palestine, and Israel’s decision to increase settlement activity will likely undermine hopes for progress in rekindling stalled peace talks when President Obama’s Middle East Envoy, George Mitchell, visits Israel next week. It’s been an interesting week in the news. While the domestic political scene has been dominated by President Barack Obama’s comments regarding the arrest of Harvard Professor Henry Louis Gates, the real issues of health care reform and reforming the U.S. financial regulatory system appear to have fallen by the wayside, at least temporarily. 1. George Mitchell, President Barak Obama’s special Middle East envoy, met with Syrian officials on Sunday. Although no specifics of the meeting were reported, it is believed that Mitchell’s visit is part of Obama’s strategy of improving relations with Syria as part of the broader goal of achieving a comprehensive settlement of the Arab-Israeli dispute. The visit was Mitchell’s second trip to Syria in two months. 2. The political situation in Iran appears ready to destabilize, as the government faces both opposition from opposition political parties as well as a standoff between fundamentalist elements within President Mahmoud Ahmadi-Nejad’s cabinet. On Monday, Iran’s supreme leader, Ayatollah Ali Khamenei warned opposition leaders that they faced “collapse” if they continued protests over last month’s disputed presidential elections. Last week, Akbar Hashemi-Rafsanjani, Iran’s former president, lent support to the opposition, speaking at a protest against Ahmadi-Nejad’s re-election. Rafsanjani’s position was closely watched, particularly given his position as head of two powerful conservative bodies in Iran, the expediency council and the experts assembly. In other developments, over the weekend, President Ahmadi-Nejad fired two cabinet ministers, Hossein Saffar-Harandi, culture minister, and Gholam-Hossein Mohseni-Ejei, intelligence minister. The firings, which are rare in Iranian politics, represent the latest developments in a political standoff between Ahmadi-Nejad and conservative forces in his government. It was reported on Wednesday that four ministers, including the two fired over the weekend, debated the president’s decision to name Esfandir Rahim Mashaei as first vice president. Mashaei is a close ally of the president, but managed to draw the criticism of conservatives when he argued last week that the position of the Iranian government should maintain a friendly disposition towards the Israeli people. After the appointment was made public, Ayatollah Ali Khamenei, who as the country’s supreme leader has the final word in governmental affairs, wrote to Ahmadi-Nejad, urging him to fire Mashaei. Ahmadi-Nejad initially refused, but Mashaei nevertheless stepped down over the weekend. 3. The International Monetary Fund approved a new $2.6 billion loan for Sri Lanka on Friday. The loan is intended to help Sri Lanka rebuild after its 25 year civil war, which ended several months ago after the government launched a series of attacks which incapacitated the Liberation Tigers of Tamil Eelam rebel group. Despite the end of the fighting, however, the government continues to hold thousands of ethnic Tamils displaced by the fighting in detention camps. The detention of so many people led some human rights groups to condemn the IMF’s decision, arguing, as Human Rights Watch did, that the loan “is a reward for bad behavior, not an incentive to improve.” The United States and the United Kingdom both abstained from the decision, an unusual move for the two countries which collectively control almost 22 percent of the voting shares in the organization. 4. Government services in townships across South Africa have been disrupted by a strike by municipal workers demanding higher pay. The strike follows weeks of protest by residents of poor black urban areas in South Africa, who are demanding improvement of water and electricity delivery, better government housing, and reductions in corruption. The protests represent the most significant political challenge to President Jacob Zuma’s government, which came to power on the platform of reducing poverty and addressing corruption. Zuma promised last week to crack down on protestors, but such a strategy appears likely to exacerbate the political crisis facing the government. 5. The standoff in Honduras continued to develop last week, as ousted President Manuel Zelaya visited the Honduran border on Friday. Zelaya vowed to return to power and symbolically crossed the border, briefly stepping in to Honduras before quickly stepping back into Nicaragua to avoid arrest. Talks between Zelaya and the interim government of Honduras appeared to break down this week, as both sides have refused to cede any ground on the most fundamental question: who should be president. Meanwhile, western governments have stepped up pressure on the interim government of Honduras. On Monday, the European Union announced it was suspending all aid to Honduras while the United States has suspending military aid to the country and has threatened to suspend economic aid if progress is not made. Honduras is one of the poorest countries in Latin America, heavily reliant on coffee for export earnings. The U.S. political scene this week was dominated by coverage of Sonia Sotomayor’s confirmation hearings in the Senate. After the hearings, Sotomayor appears to be headed for an easy confirmation to the U.S. Supreme Court, a fact conceded by Republican Senator Lindsay Graham on the first day of the hearings. Also on the domestic political scene, the battle over President Barack Obama’s proposed health care reform heated up this week, with both sides spending increasingly large sums of money on television advertising. So far, Obama has been content to allow Congressional Democrats to lead the reform effort, but that strategy appears to be in danger after several moderate Democrats expressed hesitation over the bill introduced in the House last week. 1. A suicide bomb attack in Jakarta, Indonesia, killed 9 people and injured more than 50 on Friday. Although no group has yet claimed responsibility for the bombing, the police investigation is focusing on Jemaah Islamiyah, a terrorist group with ties to al Qaeda. The group was responsible for a series of attacks between 2002 and 2005, including the 2002 Bali bombings, which killed more than 200 people. 2. The standoff between President Manuel Zelaya and the leaders of the military coup in Honduras remains unresolved. On Friday, Zelaya attempted to return to Honduras, only to be denied entry. He is currently in Nicaragua. Meanwhile, Venezuelan President Hugo Chávez, a close ally of Zelaya, has become increasingly vocal in his condemnation of the coup, accusing it of being backed by the United States. On Thursday, Chávez said, ““The Honduran army wouldn’t have gone forward without the approval of the state department. I don’t think they told [US president Barack] Obama, but there’s an empire behind Obama.” The de facto government of Honduras has filed a complaint against Venezuela with the United Nations Security Council, claiming that the Chávez government is interfering in its domestic affairs. But the Security Council has so far refused to deal with the complaint. 4. The Russian economy is currently experiencing its worst economic decline since the transition from communism in the early 1990s. According to a Financial Times report issued on Wednesday, the Russian economy contracted by 10.1 percent in the first half of 2009, a much sharper decline than the 7.9 percent forecast by the World Bank just one month ago. Russia’s current economic woes have been caused largely by the sharp decline in global oil prices, which have recovered to $60 per barrel after falling as low as $35 per barrel earlier this year. Russia is also experiencing its own financial crisis, as commercial banks there are bogged down with bad loans. The Russian government may be forced to turn to international markets, barrowing to offset the sharp decline in tax revenues caused by the economic downturn. Based on the new figures, its projected deficit for 2010 could reach as much as 7.5 percent of GDP, a figure far above the 5 percent originally projected. Unemployment has increased from 6 to 10 percent and continues to grow. Meanwhile, many Russians are responding to the economic crisis by returning to the soil, growing their own food on small plots just outside the city. 5. Natalia Estemirova, a human rights activist in Chechnya, was murdered on Wednesday. Estemirova was kidnapped as she left her house in Chechneya on Wednesday morning, and was found shot to death in Ingushetia, a neighboring Russian republic. Protestors fathered in Moscow on news of her murder, and the international community has condemned her death. Russian President Dmitry Medvedev has promised those responsible for Estemirova’s death would be punished, but the Russian human rights community remain skeptical of his reassurances. Estemirova was the third human rights activist killed this year. She was also a close friend of Anna Politkovskaya, the Russian journalist murdered in Moscow in 2006. No one has yet been punished for any of the deaths. Estemirova’s murder, however, raises concerns that the Caucasus region may be headed toward greater instability.